The panel, “Crime Fiction: The Genre of Dissent, Values and Codes of Conduct,” part of Gemini Ink’s State of the Book conference, was a great success even on a very hot Saturday afternoon in San Antonio. Part of the reason was the location of the retro-Latino hotel, El Tropicano, on the banks of the Riverwalk, and a lot of people in the crowded lobby and bar also attending a Shriner’s convention. Rod Davis and his co-panelists Christopher Cook, author of Robbers and other crime and literary fiction, and Eusebio Diaz, vice president of the Baptist Health Foundation and an avid reader of classic crime and crime noir, took the audience of about 30 into an exploration of the evolution of crime and crime noir, and also the fundamental issues of right and wrong, crime and sin, and vengeance and justice that mark the country’s second most popular literary genre. Rod and Christopher also discussed the need to avoid didactic messages and the value of making even the bad characters at least a little “good” to make then memorable characters. 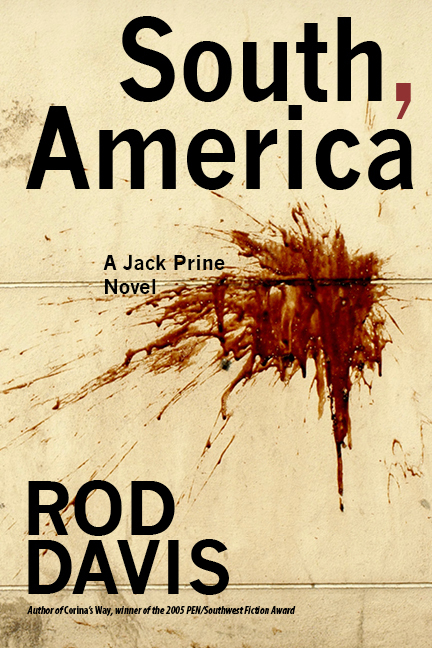 Rod, author of the critically-acclaimed crime noir, South, America, and the forthcoming Shoot When You Shoot, Die When You Die, explained how the addition of even small humanizing effects on the bad guys, along with flaws in the good guys, makes the conflict between them more dynamic. The panel was based on audience interaction, which carried over into lengthy conversations following the presentations. Rod also got to visit with former San Antonio Express-News colleague Gregg Barrios, known for his plays Rancho Pancho and I-DJ and work with actor/poet James Franco. A number of authors from Texas and elsewhere also presented at the 4-day event, with closing remarks from Clay Smith, Editor in Chief of Kirkus Reviews and Literary Director of the San Antonio Book Festival. South, America is available from NewSouth Books or your favorite bookstore. NewSouth authors Rod Davis and Gerald Duff join an illustrious list of writers — including Cormac McCarthy, J. Frank Dobie, Larry McMurtry, and Shirley Ann Grau — with their induction into the prestigious Texas Institute of Letters last month. 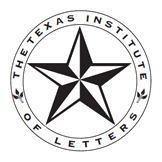 They were among seven whose contributions as writers were recognized at the Texas Institute of Letters annual meeting and awards ceremony on April 6. Rod Davis is author of Corina’s Way (NewSouth, 2003), winner of the PEN Southwest inaugural Award for Fiction, as well as other works including American Voudou. His next novel, South, America, is forthcoming from NewSouth Books. Mr. Davis is a longtime magazine editor and writer, formerly at The Texas Observer and D Magazine. An eighth-generation Texan, Rod Davis lives in College Station. Gerald Duff’s Fire Ants and Other Stories (NewSouth Books, 2007), was a finalist for the Texas Institute of Letters Jesse H. Jones Award for Best Book of Fiction. NewSouth also published his novel Coasters (2001), and his recent short ebook essay Fugitive Days (2012). At the induction ceremony, Mr. Duff read a selection from his recent novel Blue Sabine, which had been earlier in the month named by the Philosophical Society of Texas the best work of fiction published in 2012. Gerald Duff is a native of the Texas Gulf Coast. Learn more about Rod Davis‘s and Gerald Duff‘s books at their NewSouth Books author pages. You are currently browsing the archives for the Rod Davis category.